Solange is wearing a printed sleeveless satin top by Tart, a high-waisted shorts by Loin Cloth & Ashes and rope bracelets by Pichulik. 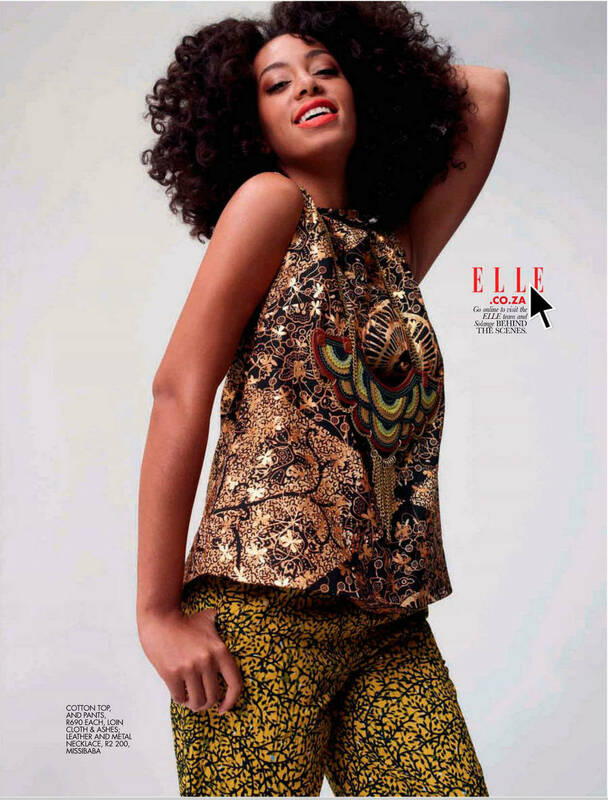 In the magazine, Solange talks about her music, Julez (her son) and family. 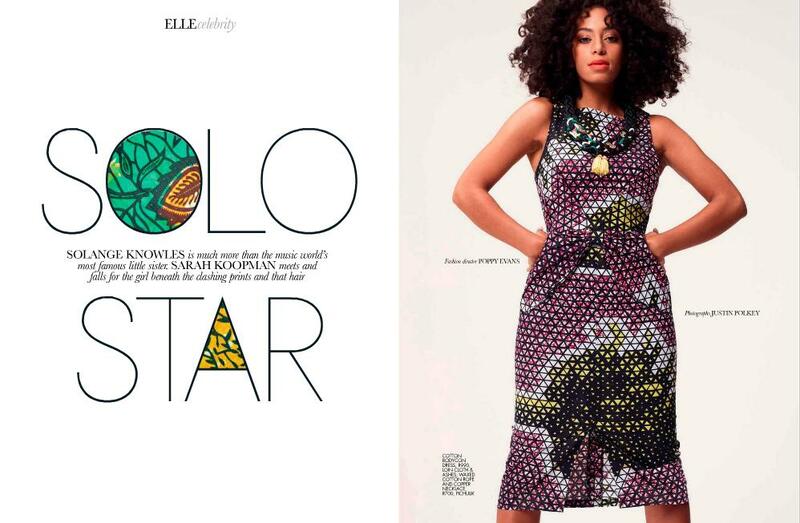 Loin Cloth & Ashes designed all the ankara print clothing she is wearing in this spread! The spread was photographed by Justin Polkey and styled by ELLE fashion editor Asanda Sizani. 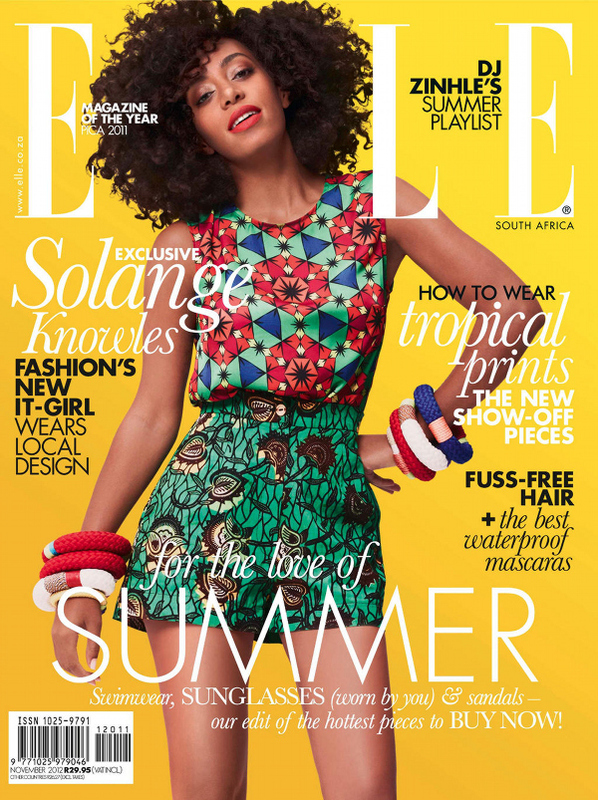 Hey Buddy!, I found this information for you: "Magazine: Solange for Elle South Africa Magazine November 2012". Here is the website link: https://www.allthingsankara.com/2012/10/magazine-solange-elle-south-africa-magazine-november-2012.html. Thank you.